The penthouse space was graciously donated by George Gresham, President of 1199SEIU providing guests breathtaking views of the city at twilight as they enjoyed delectable appetizers from Norma Darden’s Harlem based catering company, Spoonbread along with beverages donated from premier craft beer provider Lagunitas. 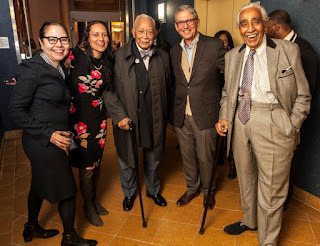 A VIP reception had guests mingling with Mayor David N. Dinkins, Cong. 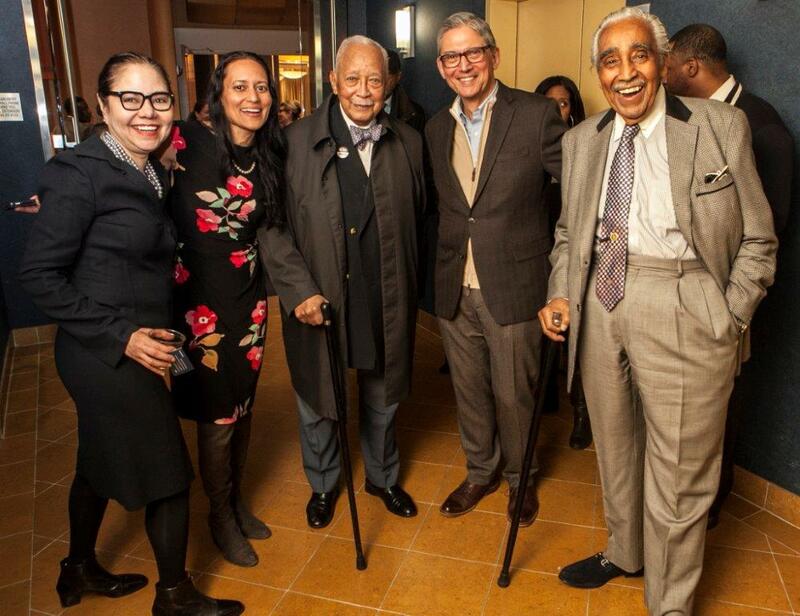 Charlie Rangel, Ken Sunshine of PR firm Sunshine & Sachs and others. Pianist Jeffrey Greenberg provided cool piano jazz selections and vocals throughout the evening. Attendees viewed a seven-minute trailer of this independent documentary which was met with great enthusiasm and lots of applause. The post screening morphed into a town hall and a Q & A with Director Laura Hart, Producer Nina Streich, One Centre Street Syndicate (OCSS) President Nick Balamaci, and OCSS Secretary Dwight Langhum. Guests rose to take the mic and to pledge their continuing support by spreading the word and more.